Here at MasteryConnect, we want to make sure you have a great benchmark season. To help you be successful, we have rounded up our best resources to ensure benchmarks are smooth sailing. Take a peek at our best benchmarking articles from our Help Center. Each one gives you step-by-step instructions during every part of the process. For a more thorough overview, visit Online PD for our course on all things Benchmarking. 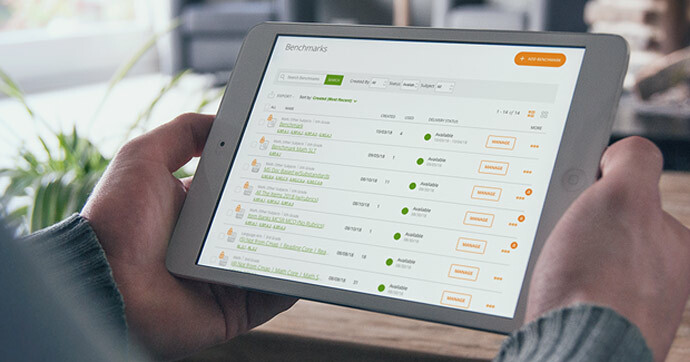 There are 5 short videos—three minute or less—that will walk you through building, scheduling, and administering Benchmarks at the school and district level. Log into your MC account and launch online PD from app launcher next to your name. Want your own Benchmarking PD Session from a MasteryConnect specialist? Request more information from your Regional Education Consultant or fill out this form. Have a different benchmarking question for us? You can always log in to submit a ticket to our talented support specialists here.